In addition to meeting all other requirements, applicants for U.S. citizenship also need to pass two tests in fundamentals of history and principles of government, and English language proficiency in spoken, written and reading in English. 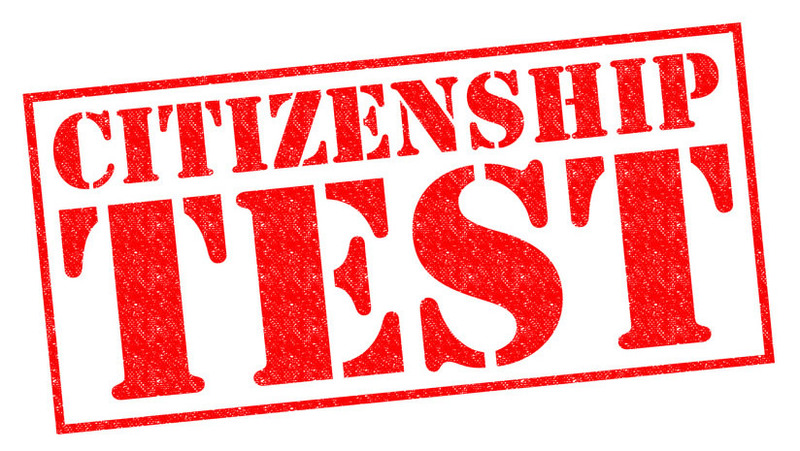 Preparing for the civic portion of the test with an agent, you can use the 100 questions and answers prepared by the US Citizenship and Immigration Services (USCIS). Even though there are 100 possible questions, you will be given ten and need to answer six of those correctly. Since those questions are randomly picked from the pool of 100 questions, you need to memorize all of them. There are exceptions for disabilities and elderly. Applicants over 65 years of age and lived in the U.S. for 20 years need to remember only 20 questions. Physically and or mentally disable could qualify for a waiver. Reading, writing and speaking part of the test, an agent will ask you to write a simple sentence that he will dictate. He or she will be observing you throughout the interview process of your speaking proficiency. He or she may ask you to read out loudly a short paragraph to test your reading proficiency. Use the study guide prepared by the USCIS to prepare for this portion of the test.